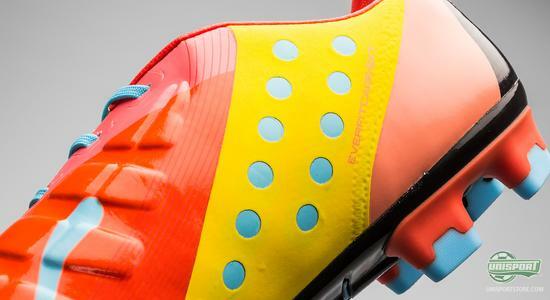 The vast majority of the launched boots in 2014 have had some kind of connection to the World Cup, which is currently going at full throttle in Brazil. The sources of inspiration seem unquenchable, when it comes to South America’s largest country and even though the World Cup is closing in on its third running week, Puma are far from done. 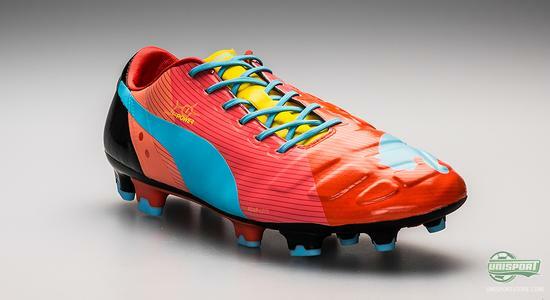 We here present the Puma evoPOWER Graphic. Carnivals, samba, the Amazon, nature and street art. 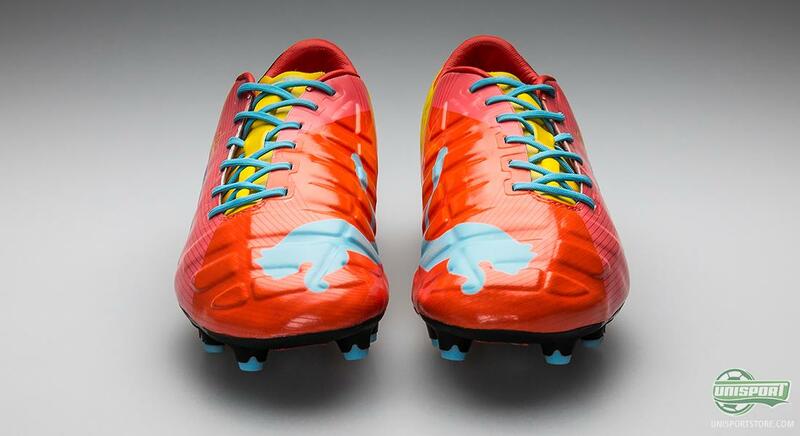 There isn’t the aspect of Brazilian life that hasn’t been touched by the major brands, when designing the latest collections for their football boots. Brazil is a cultural goldmine, flourishing with so many different elements and it would be a shame not to get caught up in it, now that the World Cup is taking place there. 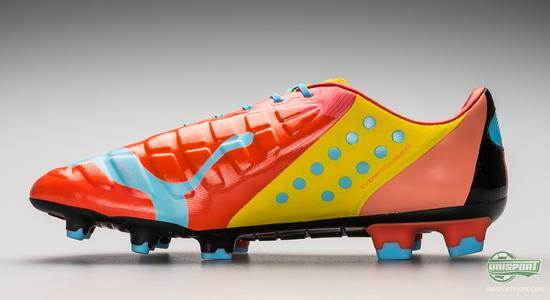 Puma have naturally had their share in the colourful selection of football boots lately, with their Puma Tricks boots in pink and turquoise. 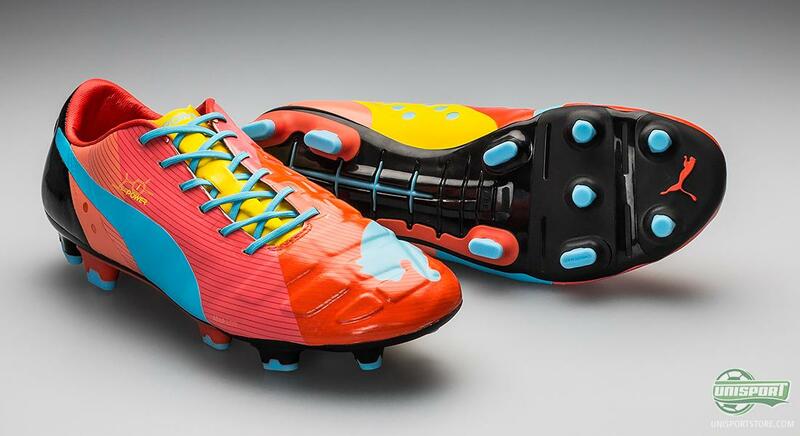 This collection has been Puma’s main presence at this World Cup, where we have seen players like Balotelli, Agüero and Yaya Toure perform in the very alternative design. Halfway through the World Cup Puma have however decided that things aren’t quite done for them, bringing another Brazilian inspired design. You can pre-order the boots here - just €210. 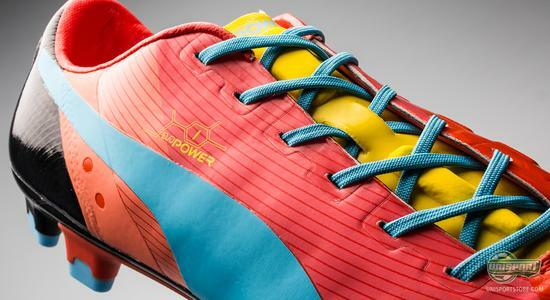 They show this, with their newly launched version of the evoPOWER, which they call the Graphic. The source of inspiration comes from one of Brazil’s and especially Rio de Janeiro’s most noticeable features, the favelas. 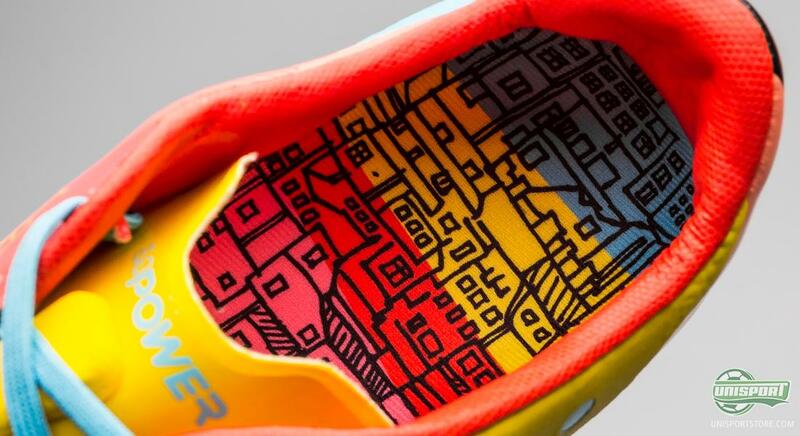 With the many different decorated houses, the favelas make the cities a colourful landscape and this is exactly what Puma have transferred to their new boot. 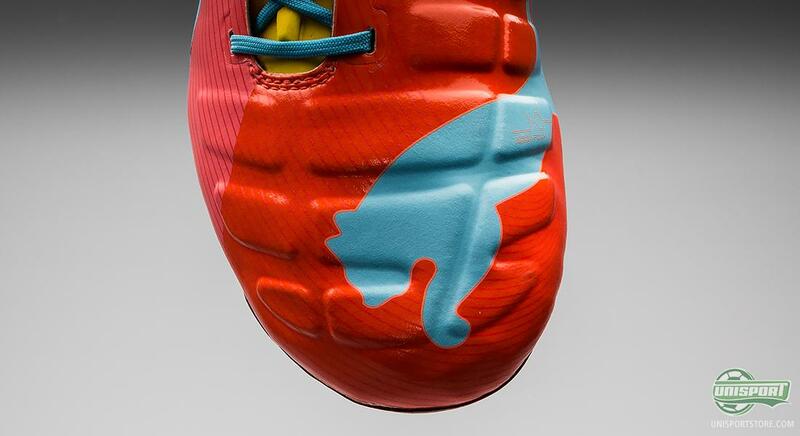 This point is enforced by Puma having drawn the favelas into the inlay sole, which gives a cool aesthetic detailing to the boots. 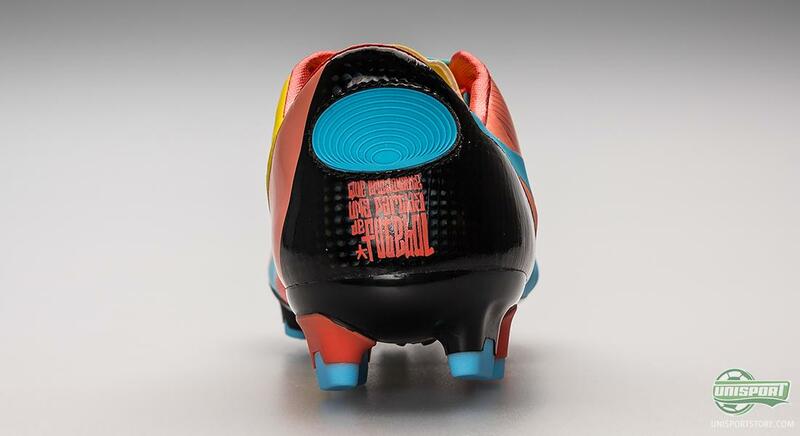 On the back of the boots Puma have also placed a little message to the Brazilians football culture, which we all know is built on a deep love of football. On the heel it says: “Que emocionante uma partida de futebol” (a football game can be so emotional). Even though the favelas don’t represent Brazil’s proudest side, they are impossible to ignore, when it comes to the countries culture. No matter how many negative things you can say about the favela, just as many positive things can be drawn from the diverse environment, with some of Brazil’s biggest stars coming from these areas, among them Zico, Romario and Ronaldo. And it is this particular side of the favela that has inspired Puma and they have incorporated into their new evoPOWER. 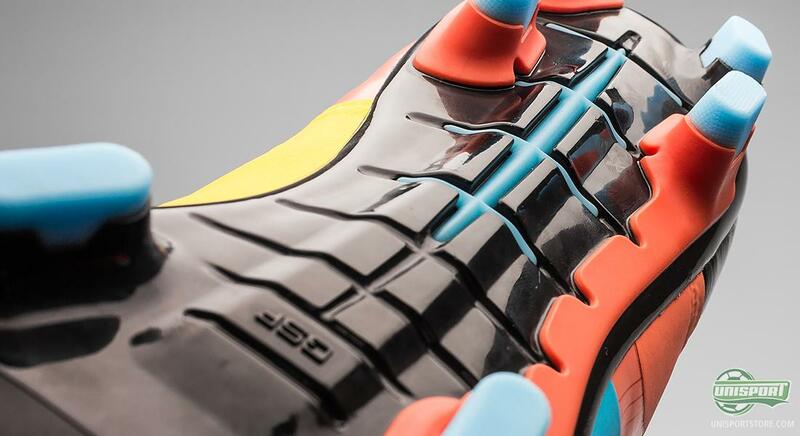 The boot itself is built to give the best support to the foot, while allowing the foots natural movements and shapes to affect the ball. By building a boot, which has an upper that can stretch both ways, the power of your shot is improved, as the foot can move freely in a lengthwise direction. evoPOWER is Puma’s newest silo and it has already built a large and loyal following, which is still rising. 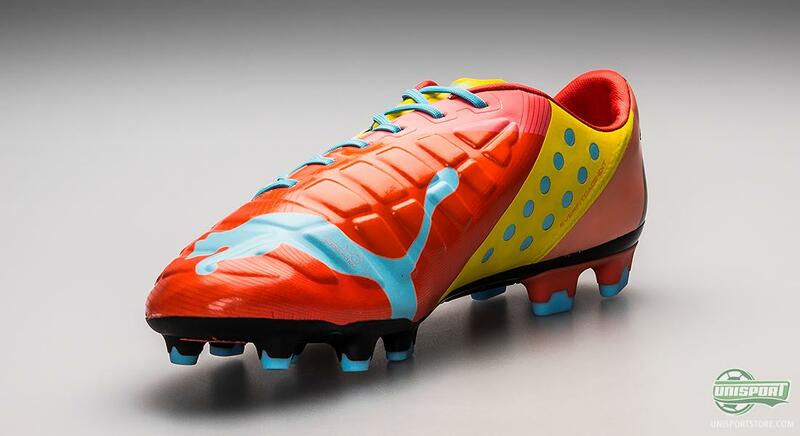 Among the professionals that use the boot, you find Balotelli, Reus and Fabregas. This particular model will probably attract quite a few Brazilian footballers to that pile, so it will be exciting to see what follows. What do you think about the newest favela-inspired model?